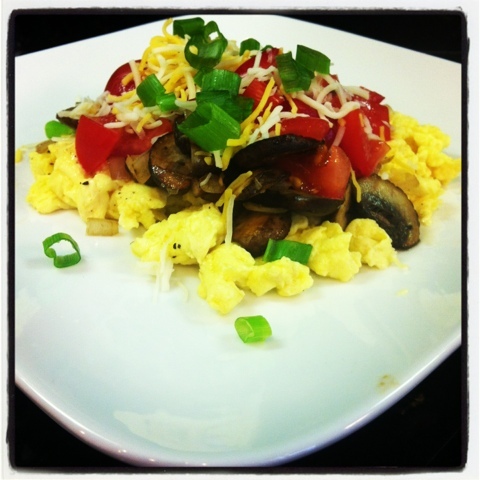 Eggs are such a great source of protein, today I used egg beaters and some mini portobellos I had on hand. I sautéed mushrooms and onions in a quick spray of the butter flavored cooking spray and topped it with some fresh veggies and a quarter ounce of cheese. 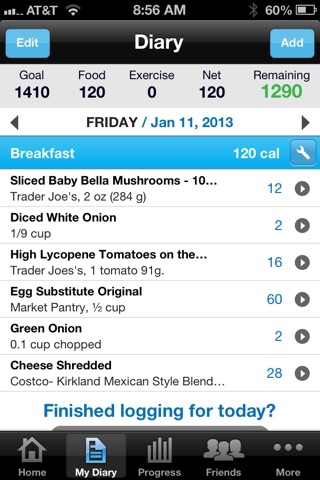 This filling breakfast was 120 calories and 17 grams of protein. I added a couple dashes of tobassco too.